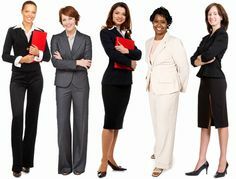 Is there such a thing as work pants that won’t make me look like a stock photo of a Successful Professional Woman? For the first time, I’m in a real job where I can’t wear jeans all fall/winter. I’ve been wearing dresses all summer, but I want to be able to wear my beloved sweaters in the winter. I’ll definitely be finding some good skirts and warm tights, but I’m also open to trying these newfangled “pants” things. Is something like this (any color but green or navy) going to look frumpy? Will something with a straight leg give me the same problem as skinny jeans (ie, I’m on the shorter side and think it just makes me look awkward)? I don’t know how to adult. Please give me your grown-up fashion advice. Many thanks. ETA: And where do corduroys fall on the dressiness scale? Nicer than jeans? Can I get away with cords even if I can’t get away with jeans under any circumstances? If I wear them with heels, maybe? ETA2: No cords. Got it.